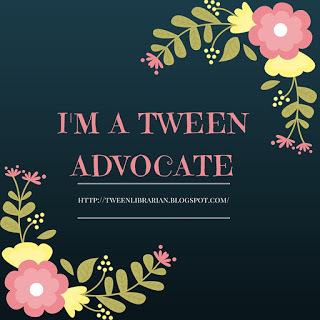 Tween Tuesday is a weekly meme hosted here at GreenBeanTeenQueen to highlight great reads for tweens! Join the fun and post your link in the linky below. About the Book: Annie Taylor is finding that no one is attending her charm school classes anymore and she's bored. Convinced that there is fame and fortune waiting for her, this 62-year-old woman decides to have an adventure. She comes up with the idea of floating over Niagara Falls inside of a barrel. The barrel makers think she's crazy at first, but Annie shows them her detailed plans and believes she's found a way to survive. With a publicist hired, Annie travels to New York and excites the crowd about her upcoming journey. Will she survive the trip over the falls? GreenBeanTeenQueen Says: May means school visits to promote the summer reading program at my library. As part of my visits, I take books along to booktalk to the students and I'm always looking for something that's new and will get the tweens and teens excited. When I heard about Queen of the Falls I knew it would be one of those great booktalk books that would get the students talking. 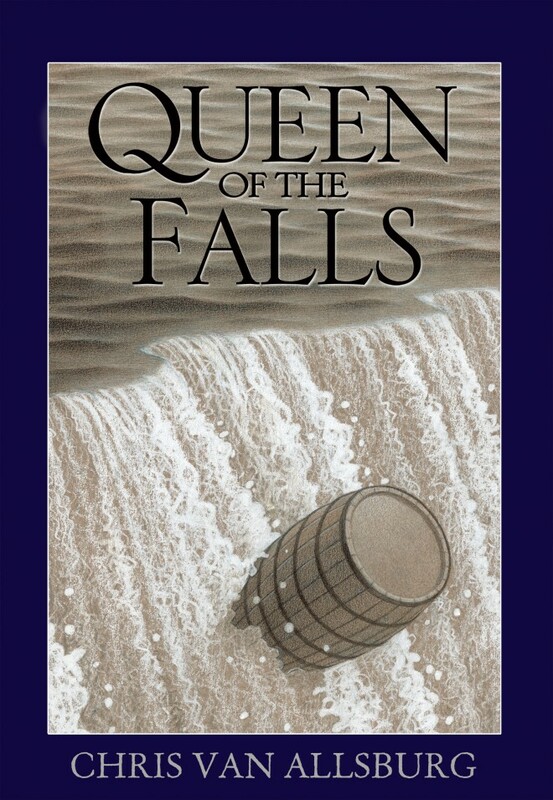 Queen of the Falls is a short non-fiction. The illustrations are great, as can always be expected from Chris Van Allsburg. He brings Annie to life and gives the illustrations so much detail, they're easy to pour over-and great to show off during booktalking! The fact that the story is non-fiction and based on an event that no one has heard much about-if at all-adds to story. The premise sounds like it's a made up, tall tale, but the fact that it's true adds to the allure. I think this is especially true for tweens whose eyes seem to grow wide when I mention it's true! Annie Taylor's life. This might be a case where there just wasn't enough source material to really flesh the story out more and Chris Van Allsburg does a fantastic job with what he does have. The book is entertaining and engaging and a memorable read. While an easy non-fiction, the story is something that I think will have wide-appeal and I plan on booktalking it all the way up to high schoolers. Each time I talk about the question is always "but does she survive?" and I love when a book really engages the audience like that! Annie Taylor has quite a story and she's an amazingly daring woman and I'm glad her story has been told! I have been wanting to pick this one up but I am currently reading for my Maymester Class. Once it is over I should have some more free time for books like this one. Thanks for the review. I hadn't heard of this one, but I agree about its appeal. Especially now that I see all of our copies are checked out! Thanks for sharing. Thanks for this! My visits start next week... Happy summer reading!